Jemma Fleming | Performer – born in Perth, Australia. Studying Marine and Environmental Science she attempts to explore the connection that people have with nature. Existence Theatre is a new concept for her to be explored, bringing connectedness and experimentation not only into practice in performance but also into daily life. Helah Milroy | Performer – born and raised in Western Australia. Her artwork is informed by her background in Philosophy, Gandhian Non-Violence, Lay Theology, Contemporary Performance and Environmental Conservation. As an artist, Helah seeks to immerse herself within her artwork with the view that art is a medium for personal transformation. The integrity of her work rests in her ability to capture the dynamic tension between the public and private through her skilled use of metaphor and embodied interpretation. Through her artwork and performance, Helah seeks to explore her relationship to ‘self’ and ‘other’, within the context of being human: part animal, part divine. DanielaO’Mara | Performer – born in Slovakia (former Czechoslovakia), where she grew up and became rhythmic gymnastic champion, then musical theatre performer and PE teacher. After moving to Australia she took up weight training which in combination with her performing art skills made her Australia’s most successful professional fitness competitor winning eight Australian Champion titles and representing Australia in many international shows including prestigious Arnold Schwarzenegger’s Classic in the USA and Europe. Because of her diverse stage experience Daniela has developed skills and attributes, which have given her a unique stage presence. Although Daniela stepped away from competitive bodybuilding she keeps looking for new ways of creative expression through movement. She has been part of various dance and body art related projects and also started to explore flow art. SarahSchachner-Nedherer | Performer – born and living in Vienna, focusing on Contemporary Dance, Improvisation and African Dance. Trainings: Dance Intensive/Tanzfabrik Berlin, CON.dance Vienna, 2019 “Teachers Training” Holistic Dance Institute Austria. Besides various dance projects she works in Marketing Communications at Dschungel/Theatre for Young People/Vienna. Anne Mégier | Performer – born and brought up in Italy with French and Austrian roots, now living in Vienna, mother of four children. Dance performer, teacher, body practitioner, translator, geomancer and former landscape architect. Trained in dance since childhood, particularly concentrating on Contemporary, Improvisation, Authentic Movement, the communication with nature (inside and around us), the different languages (not only the spoken ones) to listen to and interact with our selves, others, our surroundings. 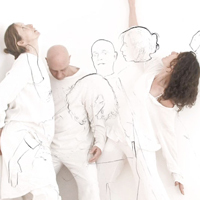 She is a member of the Viennese dance improvisation group KLAUS since 2014. Elias Franz Benischauer | Performer – born in Subiaco/Australia 2004, living in Fremantle/Australia, school student, involved in various ART IN PROCESS activities since a young age. Vena Naskrecka | Performer – born in Czestochowa, Poland 1986, living in Cork, Ireland, currently student of MA Art & Process at the Crawford College of Art & Design, Cork Institute of Technology, in 2011 graduated BA of Fine Arts in Hanze University Groningen- University of Applied Sciences- Academy Minerva in The Netherlands, independent artist (performance art, installation, sculpture, video), ceramics artist, researcher, traveler. Patrick-Tagoe Turkson | Performer – born in Winneba/Ghana. He is a graduate of Kwame Nkrumah University of Science and Technology in Kumasi: MFA in Painting – College of Art. He combines drawing, painting, assemblage, installation, sculpture video and performance and regenerates with ancient Asafo Flag Art concepts a superb sense of colour form and content. Heide Riel | Performer – born in St.Pölten/Austria, 1970, living in Vienna/Austria, Occupational Therapist (Pediatrics), contemporary dance, african dance and dance theatre, international performances. Soramaru Takayama | Poet – born in Matsumoto, Nagano, Japan in 1979 – Master of Arts in Philosophy. From 2007 he travelled the world for 4 1/2 years. His first poetry book “Tsuki To Buranko” was published in Spring 2014. He is a Vegan and enjoys living in Canada. Sabine Wutschek | Performer – born 1964 in Austria, living in Vienna, Improvisation Performer and Choreographer. Her gift to the world is named relax-appeal. Franz Sramek | Performer – born and living in Vienna/Austria, 1957, performer, dance, improvisation, photography, video, sound. Since 2002 I’m going slow: aka frantschesko = slow man walking = SlowForward. 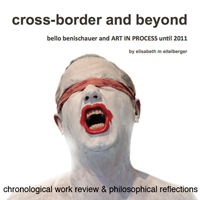 elisabeth m eitelberger | Dramaturgy – born in Linz/Austria 1974, living in Fremantle/Australia – Master of Arts in Philosophy, studied Philosophy, Theatre and Art History at the University of Vienna, co-founder ART IN PROCESS, independent artist (video, installation and performance) and creative research. Mother of two. bello benischauer | Artistic Director – born in Krems/Austria 1966, living in Fremantle/Australia – multidisciplinary artist (video, installation, creative writing and performance), co-founder ART IN PROCESS, spent more than ten years in places around the globe, exploring cultures and their individual environments. 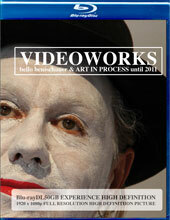 International commissions, workshops and lectures. Father of two.